The appointment of Dinnage highlights the league’s focus on broadcasting, as most of its revenue comes from selling television rights. She started her career at MTV Networks and spent the last decade at Discovery. Scudamore has overseen the value of the Premier League’s broadcasting rights soaring 12-fold to more than 8 billion pounds ($10 billion), with Comcast-owned British pay-TV operator Sky the league’s biggest TV partner. While running Discovery’s British operation last year, Dinnage threatened to remove their portfolio of channels from the Sky platform in a row over costs. Dinnage will not have to negotiate a rights deal with Sky for a couple of years. Sky, which has aired the Premier League since its inception in 1992, signed a new deal in February worth 3.579 billion pounds to show 128 games per season from 2019 to 2022. Scudamore’s longevity highlighted his ability to avoid major rows between the clubs, with 14 out of 20 Premier League teams having to agree on any changes to the rules. 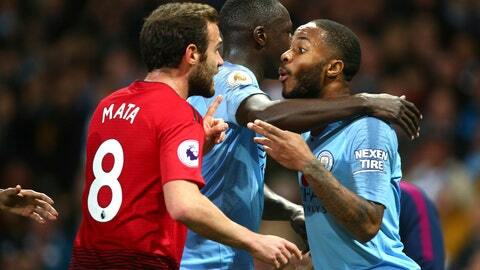 Dinnage has to maintain that same unity between the smaller teams and powerful wealthy clubs, including Liverpool and Manchester rivals City and United, who have been pushing for a greater slice of foreign television revenue. She will also have to navigate the league through uncertainty as Britain prepares to leave the European Union in March, with there being big question marks about English clubs’ access to players from the continent if free movement of labor ends. “Like many other organizations dependent on a combination of domestic and international talent, we are waiting to better understand what the political and regulatory landscape will be after the UK leaves the European Union,” the league said in a separate statement Tuesday. “Access to talented footballers from across Europe has played a key part in the growth of the Premier League, with match attendance and global interest increasing significantly as high quality foreign players have taken their place in the competition with and against the best British and Irish players.